At a baptism, a great way to fill the time waiting for those who were baptized to change back into their Sunday clothes, is to play MormonMessages—official church-produced videos with various gospel messages and themes. Here’s how we did it recently, with great success. together the program and the big question for many families is what will we do while those being baptized change out of their wet clothes? In the past we have seen piano music, musical numbers and the typical VHS recordings of The First Vision etc. Nothing wrong with them, but they are stale and expected. I wanted to do something different and I got my answer a few weeks earlier at another baptism. It was my A-ha moment. They used several videos from YouTube’s MormonMessages Channel and YouTube’s MormonMessages for Youth Channel that the Church produces. I paid attention to what videos they used because being in the same ward and having my event in a few weeks, I didn’t want to duplicate it. We downloaded the videos from YouTube and burned them to a DVD. Because the program portion of the baptism was in the chapel we were able to view the presentation on the big screen with a DVD player. Very effective! Now, when doing this, please keep a few things in mind. Choose videos that are appropriate for the meeting. There are definitely some videos that aren’t appropriate for baptisms. Keep in mind that you may have investigators or less active family members in the audience and you may want to cater to their needs. Be respectful. Keep an eye on time. You don’t need to have 20 minutes worth of videos. Talk with those that will be changing to see what special accommodations maybe needed for time. We kept ours with 3 videos at about 13 minutes. We also stayed with Church produced videos. When in doubt, look for the Church logo at the end of the video. 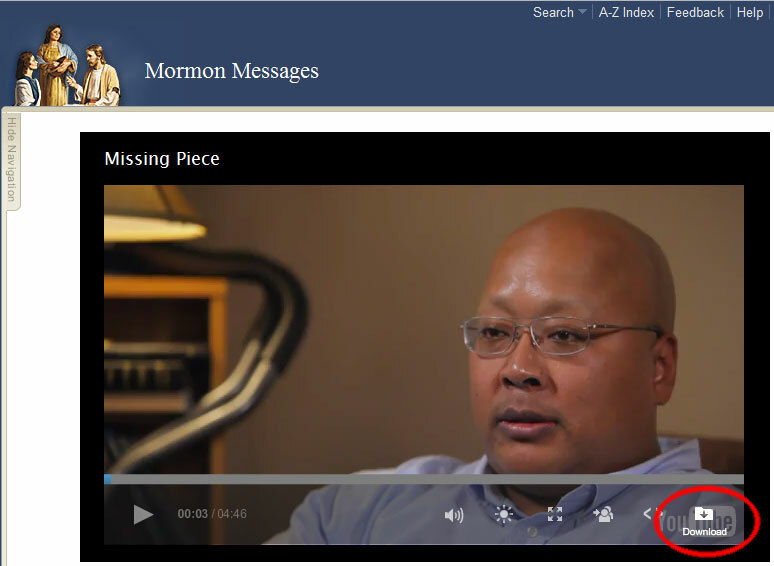 Go to MormonMessages.com to view the videos. We chose Our True Identity by Elder Dieter F. Uchtdorf, Good Things to Come by Elder Jeffrey R. Holland and Lessons I Learned as a Boy by President Gordon B. Hinckley. To do your own DVD, you can download many of the videos from MormonMessages.com. For MormonMessages that don’t display this button, you can Google ‘YouTube Video Download’, and include your browser and the word “plugin” or “extension” since there are plugins for most browsers that allow you to download videos from YouTube. If given the option, you’ll want to download the 480p version of the video, as this is the closest to DVD resolution. Most Windows computers have Windows MovieMaker installed, or it can be downloaded for free. Mac’s have iMovie installed on them. With either of these, you can create a DVD from the videos you have chosen. I had my boss create this for me and he added a few ‘Church Images’ before, in between, and after the video and some music for a smoother transition between videos. But you don’t need to do that. If you still have trouble with this, find someone in your ward that is tech savvy to help you put it together. Just do yourself a favor and give them several weeks to put it together. Never wait until the last-minute. One last thought. Because your son or daughter is being baptized and dressing during that part of the program, they will not be able to view the video presentation. Use the DVD for family home evening before the baptism so they can enjoy the presentation also and talk about their meaning. What are your ideas, or things you’ve seen done, to enhance a baptism? Jill, this is an excellent article! And it's perfect for this site. It's so cool that the church is producing these videos. It's a great way to take full advantage of them. there are so many to choose from but there are a ton of good ones from Elder Uchtdorf. Happily ever after, You matter to him etc. President Monson's have I done any good is also wonderful. Sure beats those ackward moments following a missionary invite and no one know what to do. I had no idea some of these sites existed. Great for baptisms, but also great for FHE ideas. Thanks for sharing! This is exactly what we had in mind for our son’s baptism. You mentioned that you had your boss create this for you and he added ‘Church Images before, in between, and after the video and some music for a smoother transition between videos’. I’d like to do something similar but am having a hard time thinking of how this could be done. How did the video’s transition, etc…? Hi there- thank you for this wonderful idea. Technology completely overwhelms me. I was wondering if you would consider burning me a copy of the DVD you used and I can compensate you for your time, the Dvd cost and shipping. I watched the videos you chose and would love them for my sons baptism. I would deeply appreciate your consideration. Hi Karley, I would suggest first asking around in your ward. I’ll bet there’s someone that could do it for you. 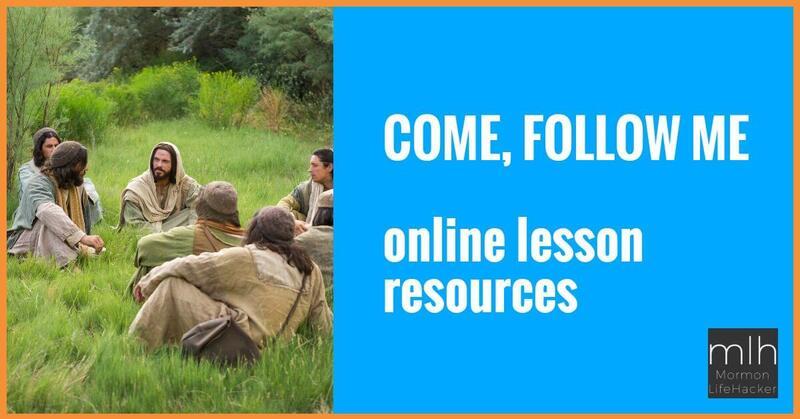 Plus there’s lots of new Mormon Message videos since this time, that should be included if you were able to find someone local to do this for you.